Hello! It's time for another fun challenge at Paper and Such! The theme this week is "Just Stitch it". Perfect challenge for the newly released Heartstrings set. I had a bunch of little scraps of DP laying around and pieced them together to make a "quilt" strip and added some faux stitching. 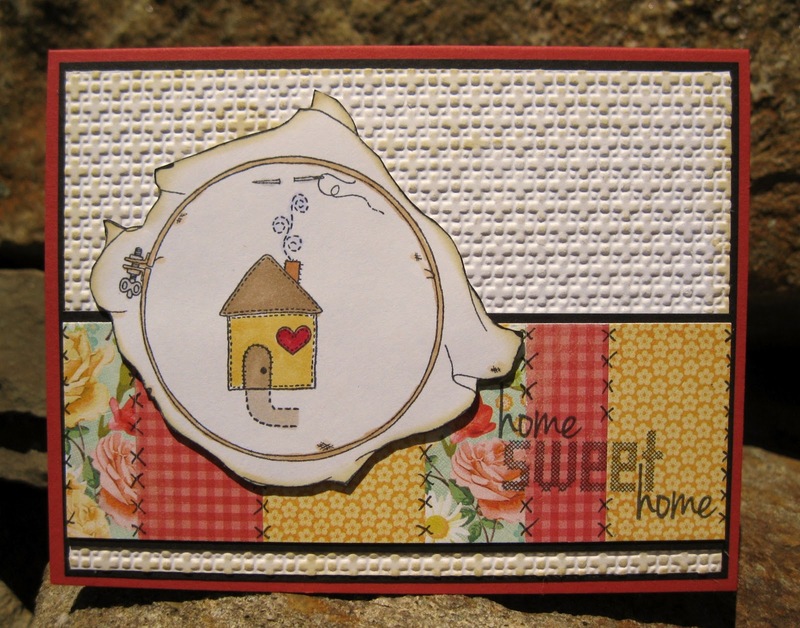 This is a card that I made/gave to my sister who just moved into her brand new home last week! Hope you can come play along with us. Thanks for stopping by and have a great day! Love that quilted look, Janice! Great card! awesome! Love it and that embossed back ground! 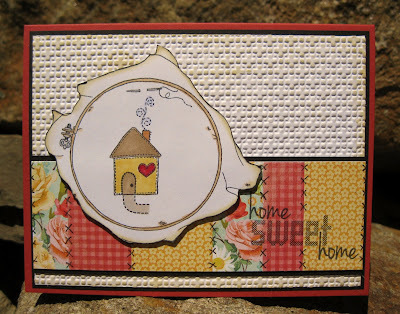 This is so beautiful Janice...love all the embossing! I bet your sister loved this wonderful creation!